If your doctor failed to diagnose a germ cell tumor, you might qualify for compensation. The longer a germ cell tumor progresses before treatment begins, the more painful, invasive, and expensive it is to cure it. It is imperative for doctors to diagnose this type of cancer promptly. Failing to diagnose this condition or misdiagnosing it can be considered medical malpractice. If your doctor failed to identify your condition and you suffered harm, you could have grounds for a medical malpractice lawsuit. A germ cell tumor misdiagnosis lawyer might be able to help you file for malpractice. The Medical Malpractice Help team has the knowledge, resources, and track record to fight your case aggressively. We assist victims of medical negligence across the nation, and we understand how the malpractice laws of your state will impact your case. To get started today, call us at 855-633-2757 for a free consultation with an attorney. Was My Doctor Negligent in Misdiagnosing My Germ Cell Tumor? Depending on where the tumor originates, it could present symptoms associated with other, less-serious conditions, causing doctors to overlook germ cell cancer as a cause. A doctor might, for instance, misdiagnose the condition and prescribe medication to treat the false diagnosis. The medication might successfully reduce pain or discomfort while the tumor continues to grow inside the patient’s body. When a doctor finally discovers the tumor, it has become much larger or has spread to another area of the body. The treatment process is now lengthy, painful, and costly for the patient. 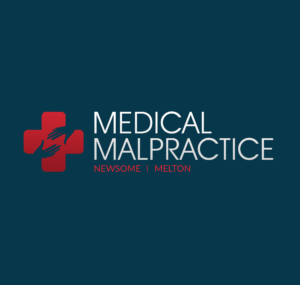 If you suffered physical, emotional, and financial harm that you might have avoided with a proper diagnosis, the medical malpractice lawyers at Medical Malpractice Help can help you pursue a claim or lawsuit against the negligent physician. Our goal is to fight for the fair compensation you deserve. How Can a Medical Malpractice Lawyer Help Me Pursue Compensation From My Doctor? The Medical Malpractice Help team knows how to gather and assemble evidence and present a compelling medical malpractice claim. Before we can file your claim or lawsuit with the doctor’s malpractice insurer, we need to prove four conditions as true. The first condition of any successful medical malpractice lawsuit is the establishment of a duty of care. We must show that your doctor owed you a duty to uphold the medical profession’s high standard of care. Proving this point is typically the simplest and most straightforward part of the process. If we can prove you had an existing doctor-patient relationship, then your doctor had a duty of care to you. The second condition requires us to show that your doctor breached their duty of care. This condition requires us to satisfy the “reasonable person” standard. This standard deals with what would be reasonably expected of another doctor in the same situation. By demonstrating that another doctor would have properly diagnosed your condition, we can establish that your physician failed the reasonable person standard and violated the standard of care. The third condition is the link connecting your doctor’s negligence to the physical, emotional, or financial harm you experienced. This link needs to be strong and conclusive. If not, the doctor and their legal counsel can suggest that your injuries arose from something else. We lean on your medical records, expert witness testimony, and even your doctor’s statements or notes to show that their negligence caused your injuries. The fourth and final condition involves listing the damages that you suffered as a result of your injuries. If the doctor’s actions were particularly egregious—for instance, if their misdiagnosis of your germ cell tumor was malicious or reckless in nature—you could be eligible for punitive damages on top of all other awarded compensation. Punitive damages are additional monies given to plaintiffs to punish the defendant for wrongful actions and to deter others from acting similarly. How Can I Talk to a Lawyer About My Germ Cell Tumor Misdiagnosis Claim? If you or a loved one suffered harm because of a germ cell tumor misdiagnosis, the lawyers at Medical Malpractice Help want to help you pursue the compensation you deserve. We offer aggressive medical malpractice representation. Our goal is to fight for a fair settlement or award on your behalf. We invite you in for a free case evaluation to discuss your options. Call our office at 855-633-2757 today to set an appointment.